Penticton, BC: The Penticton Vees (33-13-1-2) had a tough start to the third period, but Ryan Sandelin’s goal with 7:08 to play turned the tide as the Vees downed the Wenatchee Wild (27-18-2-3) 4-2 at the South Okanagan Events Centre Friday night. Massimo Rizzo opened the scoring for the Vees, weaving his way through centre before cutting down the right wing in the Wild zone. Rizzo then shifted to the middle of the ice before wiring a shot into the corner over Austin Park’s glove 5:13 into the first. The Vees held a 1-0 lead after one period of play, outshooting Wenatchee 6-5 as well. Rizzo was at it again early in the second, finding the puck below the goal line and sending it to the slot for Jonathan Smart who pinched in from the line. Smart took the pass and beat Park under the glove, giving the Vees a 2-0 lead with his first as a Vee. Luke Loheit was given an interference call with a minute to play, a call the fans at the SOEC didn’t agree with. It went from bad to worse for Penticton as Chad Sasaki scored with 25 seconds remaining in the period to make it 2-1 Vees after two. Eric Linell took a heavy hit along the boards in the Wild zone in the final seconds of the period, which went uncalled by the officials. The referees left the ice to a chorus of boos. 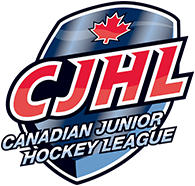 The Vees had a rough start to the third, not registering their first shot on net until halfway through the period. By that time, the Wild had already evened the game. Matt Gosiewski beat Jack LaFontaine on the glove side from the right circle just 3:39 into the third. Once the Vees got their first chance on net, the tied seemed to turn and it culminated with Sandelin’s goal. Evan McIntyre threw the puck at the net from the left point and Mason Snell deflected it. The puck skipped off the ice, bounced off Park’s chest and then rolled over his shoulder and into the crease. Sandelin was crashing the net hoping for a rebound and slid the puck into the net for his 25th of the year. Wenatchee would pull the goaltender for the extra attacker, but David Silye hit the empty net to extend the lead to 4-2, putting Penticton back into the win column. The Vees now head to Chilliwack for a huge showdown against the Chiefs (36-12-1-0). 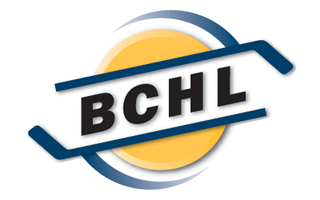 Penticton has their sights set on finishing first overall in the BCHL, and a win tomorrow may be necessary as Chilliwack sits four points ahead leading into Saturday night.